SLATE was set up to run environmentally friendly projects for the benefit of the local community, and offer work opportunities to people with learning difficulties. We believe that people with learning and other difficulties should have the same right to employment, training and volunteering as everyone else. All of our volunteers should have the same opportunities to mix with the wider community, work and relax. A lot of people with learning disabilities want to be challenged, to learn and achieve new things; just like everyone else. 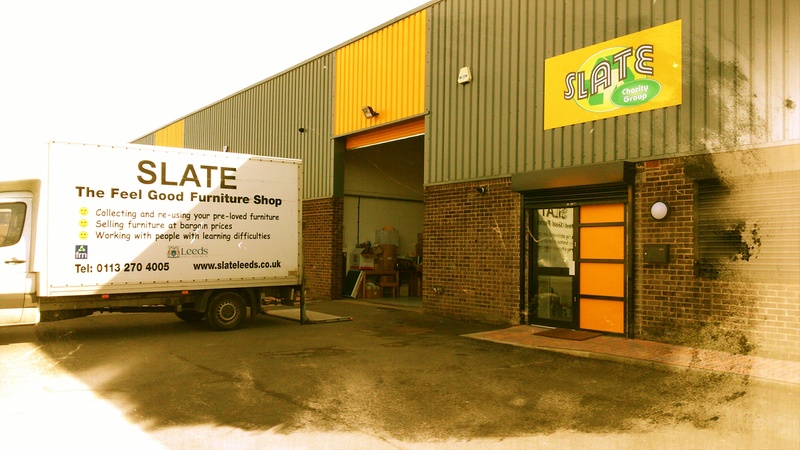 SLATE first opened its doors as a furniture shop for half a day a week in July 2004, in a discrete area of Leeds City Council Adult Social Care Moor End Day Centre with its own goods and pedestrian access. Under the Modernisation Programme the day centre closed and SLATE now also known as “The Feel Good Furniture Shop” moved, in April 2011, to rented premises within the same community of City and Hunslet Ward in Inner South Leeds. 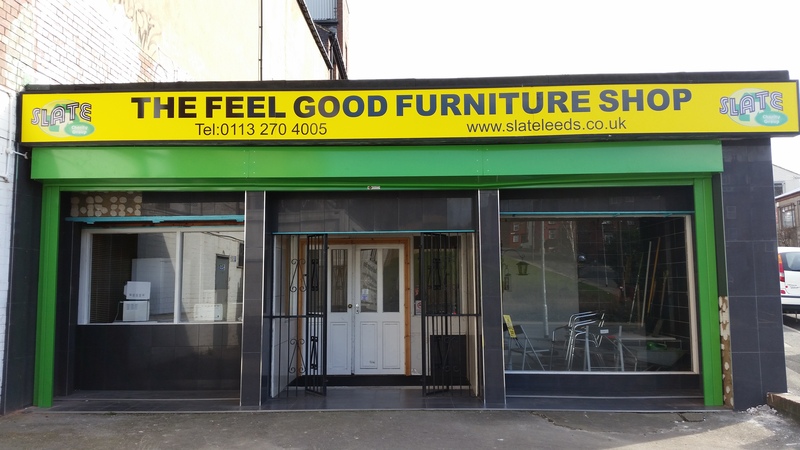 On the 7th March 2015 The SLATE Charity Group opened its second furniture outlet in Armley which is in a deprived inner city area of West Leeds. The SLATE team are heartbroken that we have to leave the Hillside Feel Good Café where we have served the tenants and folk of Beeston for the last 5 years. We are leaving to make room for a new incoming local business tenant who needs the space for an exciting new commercial development. In the meantime however, we retain our site at Gipton along with our Feel Good Furniture shops in Hunslet and Armley and are looking forward to the launch of our new training centre at our HQ Warehouse in Hunslet. In April 2015, with loan finance from the Key Fund and a grant from Yorkshire Venture Philanthropy Fund, the Charity Group acquired a warehouse/office facility in Hunslet. These premises house the finance team, furniture operations collections and delivery team and also will be the new home for our proposed Volunteer Impact and Training Centre. I have passed on your details to our Collections team and they should be in contact with you when we reopen on Tuesday to make any necessary arrangements.